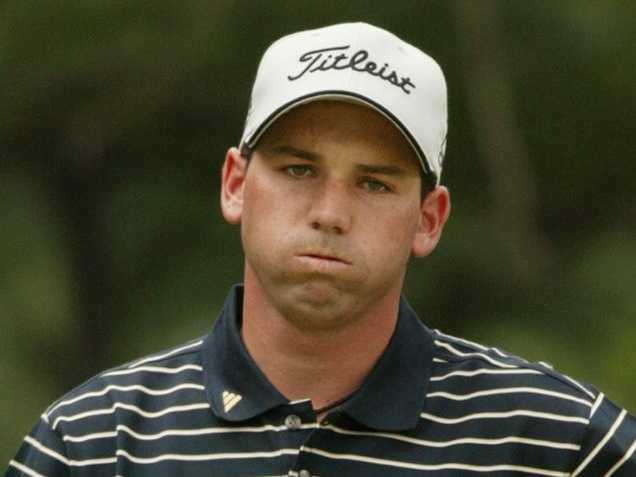 First, without question, I think Sergio Garcia’s comments about Tiger Woods and fried chicken were inappropriate, hurtful and bigoted. A bigot is some who treats other people with hatred, contempt, and intolerance on the basis of a person’s race, or other status. That said, these comments along do not necessarily make him a racist. A racist is someone who believes in the natural superiority and, therefore, inferiority of all members a one race or another. Now, Sergio Garcia may in fact be a racist, but that would mean I would know what is in his heart and unless he says outright that he believes that caucasians are superior to Africans then I can’t in good conscious call him a racist. I mention this because I think it diminishes the word racist to use it incorrectly. I have often spoken about the parallels between software implementation consultants and salon owners. For example, both revenue models have about 50 percent coming from the sale of product (including renewals for software) and about 50 percent coming from service provided. Notice that it mentions that Julie is salon owner, but what is to stop individual stylists from creating their own App. This way if they leave the salon of their current employ, their clientele can easily track them down and bypass what I understand from my wife and other female colleagues as “the hunt” that takes place when this occurs now. Of course, the jump to software implementation consulting is easy to see. Individual consultants can set up Apps and away they go. What are you doing to make you organization a place where knowledge worker thrive and get their knowledge dividend? I am thrilled to announce another addition to the tongue-in-cheek-eponymous Ed’s List – TGO Consulting. I have had the honor of knowing the principals Tracy, George, and Orgad for almost 20 years. We were all Great Plains Software partners back in the day. TGO Consulting is the largest organization in the information technology consulting business that has eliminated timesheets. In fact, other than the advertising agency of Ogilvy and Mather, they are the largest known professional firm to go timeless across the entire professional sector. Yesterday, my brother Rich and I had a Skype conversation during which were talking about imitating star performances. He then told me this great story. “In 1998, Nathan Lane played the Cowardly Lion in a concert adaptation of the Wizard of Oz. Sometimes imitation is not such a bad thing. I believe that entrepreneurs continue the work of creation. I help entrepreneurs (mostly Sage partners and customers) understand how they create value for their customers and better capture that value through the prices they set. I have been replying with my Why. This is usually followed by a quizzical look, but after a brief moment, some variation of the phrase, “Tell me more,” is uttered. This leads to some great conversations. Conversations I never would have had, if I did not start with Why. Many thanks to the entire events team at Sage for their terrific work on Sage Summit 2012. Do you have any customers who are planning on attending Summit for the first time? If you do you need to send this video out to them. In it they will hear from Danielle Cote, VP of event marketing for Sage North America. She will provide them some pointers and guidance.